Students who meet discipline and academic standards are invited to run for Student Council. Elections are held each year. Members can be identified by their blue ribbons which are worn to remind all members of the Student Council oath. They must go beyond expectations in offering service to Hallahan. Invitations to this organization are granted to juniors and seniors who have exemplary academic records. 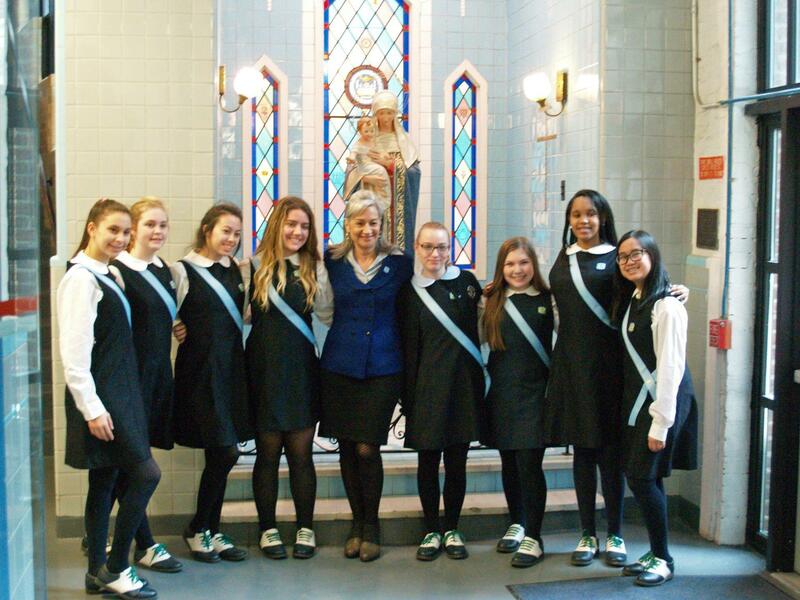 In addition to maintaining the academic integrity, NHS members are called to give service to the school and community. Induction is granted to students who meet and exceed academic requirements specific subject areas. Our Honor Societies include: Sociedad Honoaria Hispanica, Spanish Honor Society; and Mu Alpha Theta, Math Honor Society. 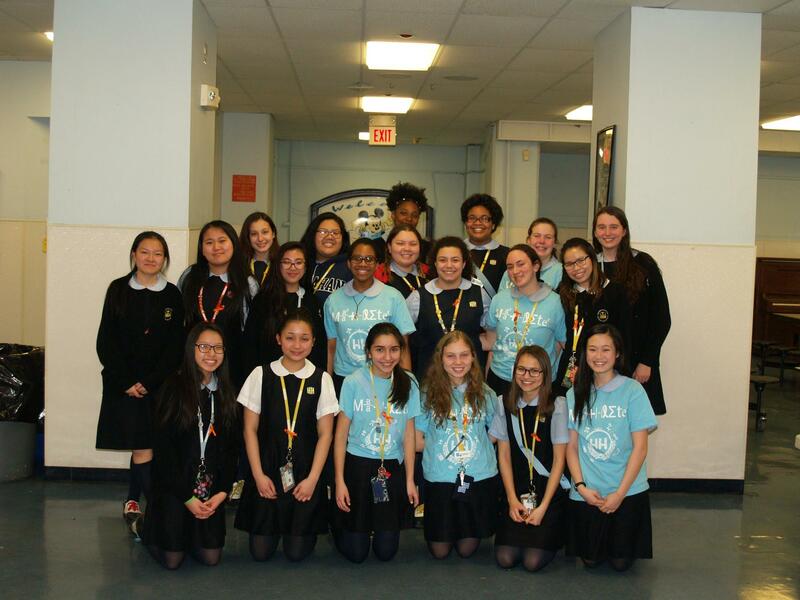 Ambassadors help with recruitment efforts such as Open House, 7th Grade Visitation Day, Grade School visits, High School Nights and Parent Tours. Ambassador Leadership is a dedicated group of ambassadors who help plan all events. 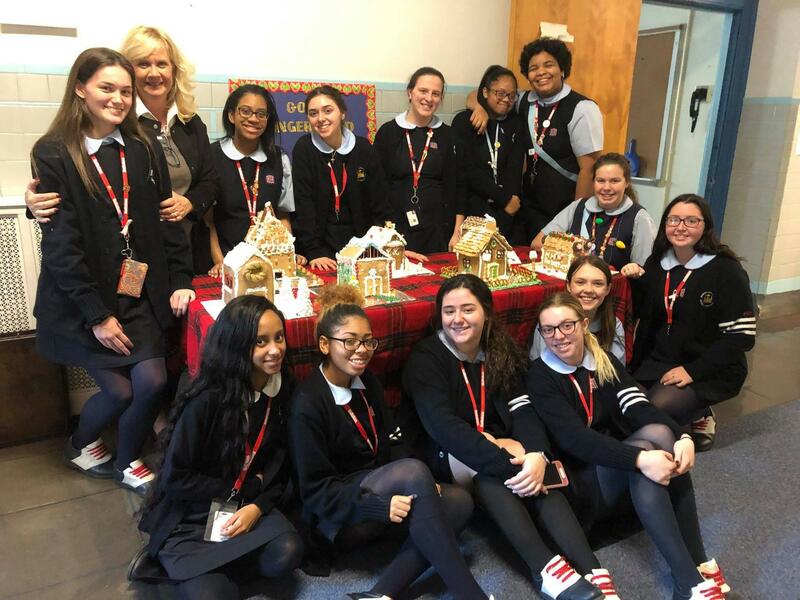 CSC members participate in many projects including visits to Assisi House, food drives, soup kitchens, Broad Street Run, Aids for Friends, and many other outreach programs. This Black Student Union is open to all students interested in enriching the student body through education, community service, arts, and cultural experiences. Members compete in meets where their mathematical skills are tested against teams from other high schools. Competitions include individual and group events. Club meets to update on Korean pop music scene, share favorite artists, groups, songs, and play variety show games like Catch the Spy, Guess this K-Pop Song. 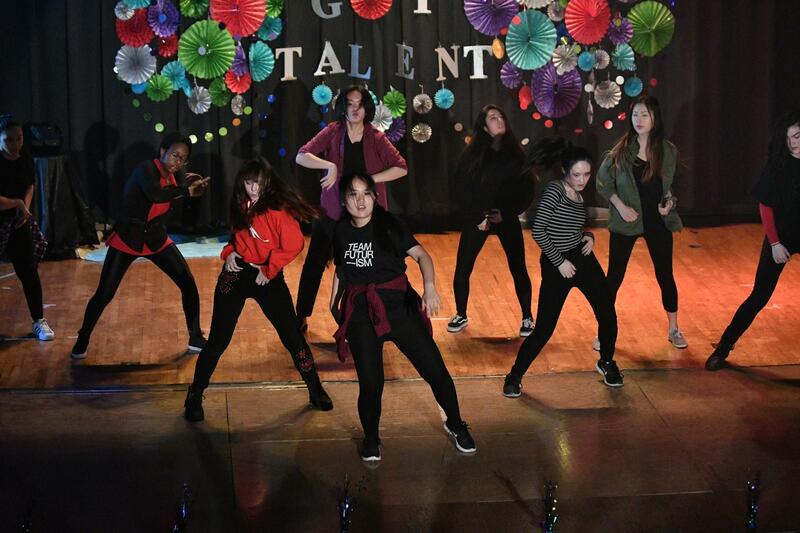 Performed at talent show to K-Pop choreography to BTS’s “Dope,” create information board of South Korea for International Day, and wrote about club in the school newspaper. 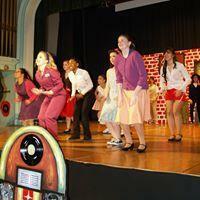 Each year Hallahan students present a musical. Professional directors, sound and stage crews, choreographers, costume & set-designers and musicians collaborate to enhance the students’ performance. Some members can work as stage crew to coordinate scenery changes, lighting cues and sound production for our school musical. 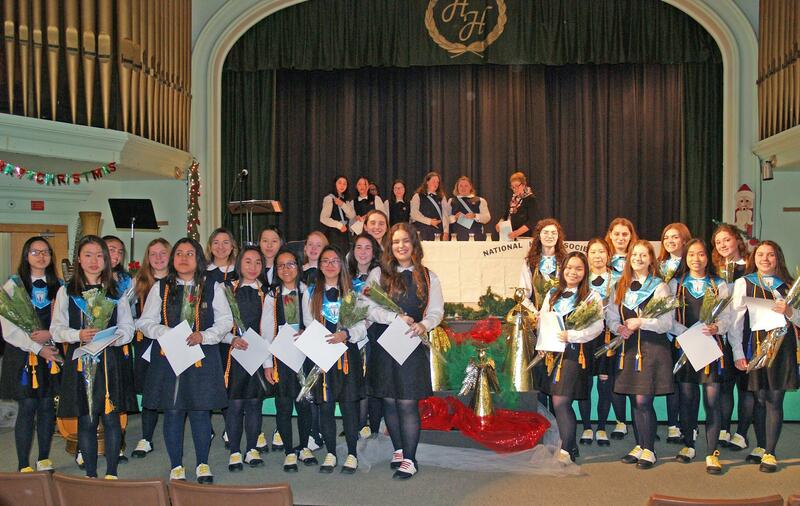 From traditional liturgical hymns to contemporary songs, this talented group brings a prayerful power to Hallahan liturgy. They also perform at the Christmas and spring concerts each year. 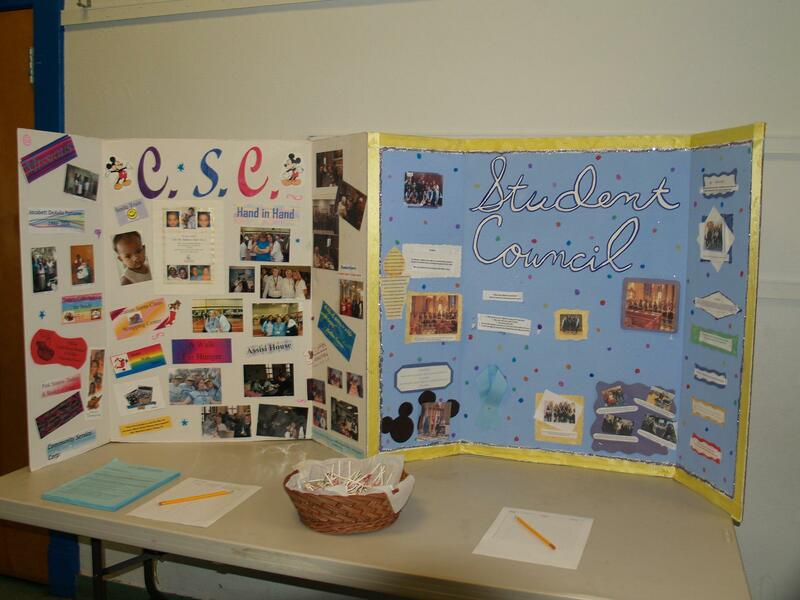 Through group discussions, guest speakers, awareness projects and activities, members put their beliefs into action. At club meetings we will discuss national and world events, and learn how to present our ideas and debate. 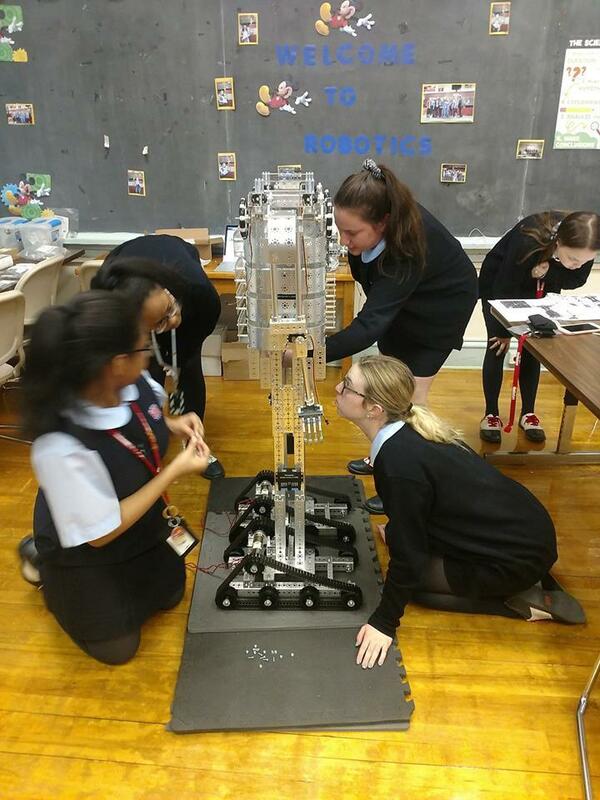 There are several Model U.N. competitions each year, where we will be given specific topics and assigned a nation to represent, so that we can compete against other schools in the area. Our Science Club is open to all students interested in exploring topics in science outside the classroom. This group shares a love for writing. They create short stories, poems, lyrics, etc. The Asian Culture is open to all students interested in learning more about the traditions, events and cultures of Asia. Membership is open to all students interested in learning about the Irish culture. Membership is open to all students interested in learning more about Poland and its culture. Like the other culture clubs the Spanish Club takes a deeper look at Spanish culture and heritage. We are a club that likes to explore the different types of Japanese animation and pop culture. We encourage intercultural relations between American and Japanese cultures. We explore anime, manga, fan fiction, video games, AMV (Anime Music Videos) and cosplay. We also learn the Japanese language in order to gain better understandings about the similarity and difference between the two cultures. We learn some unique Japanese dances as well. All are welcome! Celebrating their devotion to the Blessed Virgin Mary, group members meet weekly to pray and share their experiences. Every morning, there is an HTV broadcast. Students can work behind the camera or as anchor-women to produce this important news show. Student reporters write and edit quality articles for the school newspaper. Hallahan’s yearbook is a first-rate publication. Students learn basic design and layout concepts, write and edit text, select and crop pictures and also, promote and sell the book. The magazine contains quality student writing and poetry in addition to student artwork. Poets, editors and artists work together with faculty moderators to produce this truly artistic and inspiring project.